Israel and Japan are in talks to enter a free trade agreement between the countries. 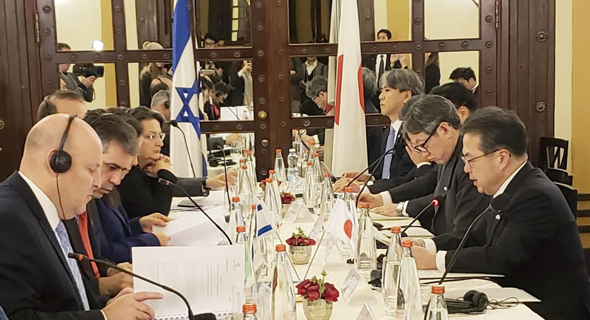 Japanese Minister of Economy, Trade, and Industry Hiroshige Sekō met Tuesday with his Israeli counterpart Eli Cohen at the King David Hotel in Jerusalem. In his third visit to Israel since assuming his position, Sekō is leading a delegation of Japanese officials and businesspeople, including executives from Mitsubishi Corporation, Toshiba Corporation, and Sony. A free trade agreement between the countries is being reviewed by both sides, Ohad Cohen, head of the foreign trade administration at the Israeli economy ministry, said in a meeting with Sekō. Sekō is also set to meet with Israeli Prime Minister Benjamin Netanyahu Tuesday. Approximately 70% of Israel’s exports are shipped to countries that have signed free trade deals with the country, according to the Israeli Ministry of Economy and Industry. Israel signed a free trade agreement with the United States in 1985, and with the European Union in 1975. Trade between Israel and Japan, not including diamonds, amounted to $3.5 billion in 2018, according to the Israeli ministry of economy, an increase of around 20% from 2017. 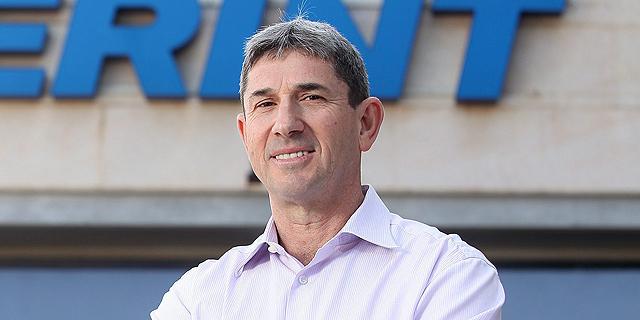 Import from Japan amounted to around $2.35 billion, while export from Israel to Japan reached $1.16 billion, a steep increase from the past decade, which stood at an annual $700 million-$800 million. Overall, Japan is the 11th largest importer of Israeli goods in terms of annual turnover, according to the Israeli Export Institute, and the third largest Asian importer. In 2014, Japanese e-commerce company Rakuten Inc. acquired Israeli messaging app Viber Inc. for $900 million. In 2017, Japanese drugmaker Mitsubishi Tanabe Pharma Corporation acquired Israel-based pharmaceutical company NeuroDerm Ltd. for $1.1 billion. In his speech, Cohen said Japan and Israel should strive to establish direct flight routes between the countries. In a closed-door meeting on Tuesday, the head of the Israel Economic and Trade mission to Japan at Tokyo Noa Asher said two direct charter flights between the countries are planned to start operating in September, with the intention to gauge interest in setting up regular flights. As part of the visit, Sekō and Cohen signed a memorandum of understanding discussing related to bilateral collaboration on digital health.